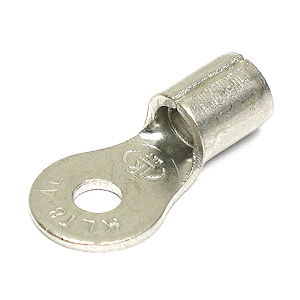 Tin plated copper non-insulated ring terminal features an overall length of 0.95", a hole for a #8 screw, and a crimp/solder end that can handle up to 8 AWG wire. Blowout price! Sold as a package of 100. G18618A.